So I picked up my latest project yesterday, it made for an interesting drive back from Napier... Was stolen, presumably thrashed, recovered and then sold to myself at Turners. You put your foot down, the RPMs increase, then drop then start increasing along with your speed. If you floor it the RPM increases as you'd expect but nothing else really happens, then you start to move, in the upper RPM range it seems to be better (presumably everything is loaded up at this point). There is a large disconnect between the throttle/RPM and the speed, feels like driving an auto that you can stall. After the last and particularly slow hill on my way home I could smell what I assume to be clutch (a kind of burnt smell, similar to that of a train braking hard), my guess is the flywheel is stuffed which is proceeding to cook the clutch at lower RPMs. Yes @allan something like that, though ideally less track focused (that’s a stage 2 kit). Yes was aware of that but they used to do a standard M3 clutch set up as well because that is what I put in the compact when I did the engine transplant.As for the valve I removed it .right or wrong it gives a better feel to the clutch in my opinion. Bleed the clutch as for a little fluid lost might solve the problem for very little cost. Wasn't able to get under and bleed the clutch, but the fluid level is good. It did fail the start in 5th test... Put it in 5th, foot off the clutch, didn't stall, 100% slippage. Any suggestions on a good flywheel weight? I've found the following. I'm thinking see if I can get a speedfactor flywheel and an e34 M5 clutch..? I could look at getting a pressure plate rebuilt, as I've got 2 240mm m30 ones (including an E28 M5) as well as the existing M54 one. Added a poll and found some more options to buy. The cheapest (NB: all prices are to my door in NZD) is "clutchmax" at $680, but I've never heard of them and it's a stage 2 kit. There's an OEM dual mass kit for $1050 which is appealing (it is a convertible, not a race car, so smoothness and how much it rattles is important ). Next would be the 9KG kit from speed factor for $30 less. 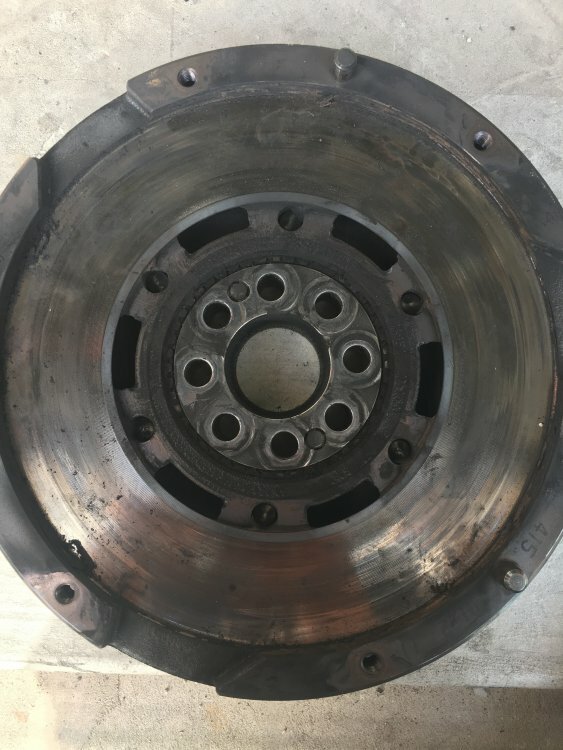 Does someone in Wellington have a lightweight flywheel or a standard manual e46 I can listen to/try? 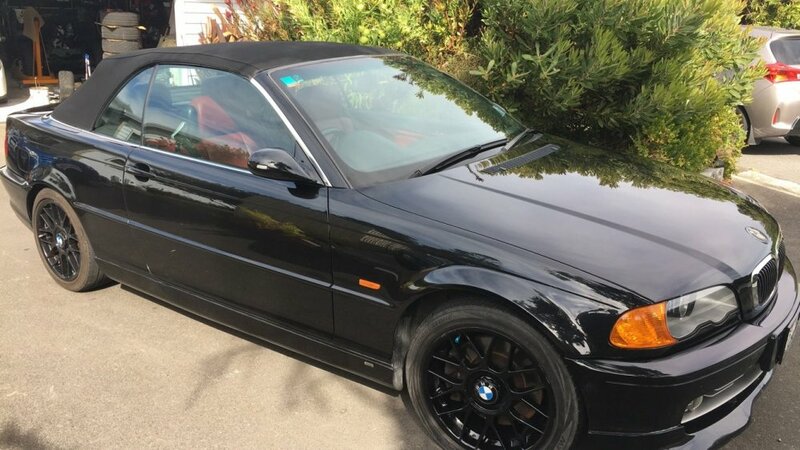 Contact Mark at Winger, you may find useful pricing with your BMW Car Club NZ discount. did you get that FCP Valeo SMF Kit? One of the FCP kits includes an alum flywheel I think. If it we’re mine, and I wasn’t looking to race it, and there wasn’t a lot to be saved by going single mass, I’d be going OEM LUK, Valeo, or Sachs and basing it on price and service. That is, yes DMF is a bit of a crappy solution, but if it’s nearly the same cost to add risk of rattle with the SMF Route, both options will outlast your time with this car (you’d be expecting 160k kms? ), so why add the risk? On service, : if you’re buying from Micks or FCP you know you’ll have it in 5 days. With BMW if it’s not in stock it’ll be about 2 weeks. With eBay sellers - I’m still waiting for a part I ordered in October. 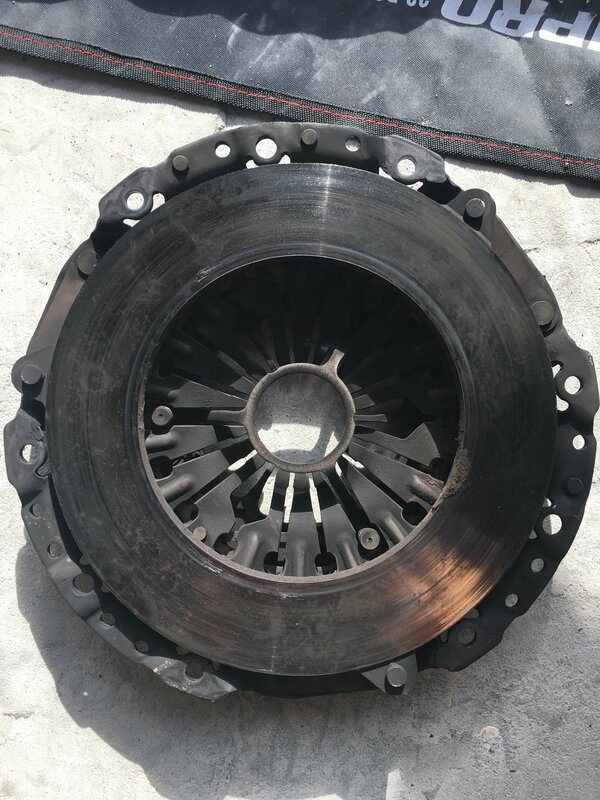 Having to chase for refunds and re-ordering is a total sh*t.
https://www.fcpeuro.com/products/bmw-clutch-kit-e39-e46-z3-valeo-52401220 I worked out as NZD1140 ~1200 accounting for a 5% discount (you could buy a little more and get 10%), FEDEX, and IETP. Whereas the Mick's Garage LUK option (DMF Flywheel & Clutch kit) comes in at about $1250 (free freight) including IETP. Pretty close eh? Well it looks like you have a ton of options... what you choosing to do? Pulled it apart yesterday. 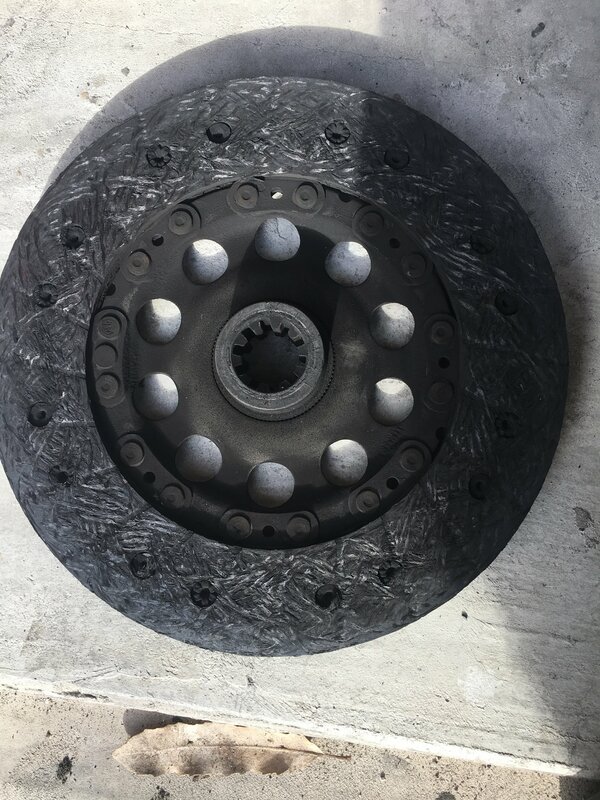 The flywheel and clutch are toast. Could almost freely rotate both parts of the DMF, suspect it was close to grenading itself. Also the Speedfactor 9KG kit is a 240mm clutch. 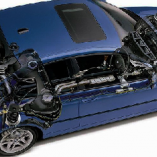 get realoem part numbers for your clutch. cross-reference with what you're proposing to buy. then check realoem part numbers for the xi. Ordered an e34 m5 pressure plate from Rock Auto to test them out, if I don't use it on the e46 another project will end up with it. $157NZ landed. Will see how that goes. Will probably go for the heaviest (and cheapest) speed factor flywheel and clutch kit. I hate flywheel chatter so don't want to go too crazy. Worst case I can take it out and sell it and buy a DMF. What stage are you at with this now?. If it helps I ran a RHD engineering 'heavy duty' flywheel ($275USD) and M30 clutch in my 330ci build. A little chattery, and I always felt the clutch was excessively priced through Sterling B &C in Onehunga but they were local and I could always take it back. Am now looking at other options (240mm) for my new build - using the same RHD flywheel. Went with the speed factor stage 1.5 kit in the end. Was a bit disappointing initially, but much better now that it’s bedded in.